We rang out the Old Year with a CROCKS Newsletter (see 31 December 2018) recommending music by a CLOFO regular, German composer Walter Braunfels (1882-1954), and ring in the New extolling this recent Capriccio release having three of his piano concertante works. Two are world premiere recordings and so indicated by "WPR" after their titles, while the other is the only readily available version currently on disc. The program begins with Walter's first mature orchestral work titled Witches' Sabbath (Hexensabbat, 1906; WPR), which brings to mind Franz Liszt's (1811-1886) Totentanz (1849-59). In four adjoining sections, the initial "Bewegt" ("Moving") [T-1] opens diabolically [00:00] with timpani riffs, flighty woodwinds plus strings, and ominous tam-tam strokes in passages suggesting that old harbinger of doom, the Dies Irae. These hint at a spooky thematic nexus (SN) soon served up by an agitated orchestra [01:05] and piano [01:18]. SN contains a demonic motif (SD) [02:07] that’s explored [02:49] and followed by a development [03:54]. This lapses into a rhapsodic "Andante" ("Slow") [T-2], where seemingly the witches, tired from all their midnight debauchery, fall exhausted to the ground. It gives way to a third "Mäßig bewegt" ("Moderately moving") section [T-3], which starts with an SN-related jittery ditty (SJ) for the tutti [00:00] that’s picked up by the soloist [01:49]. Then there's a dramatic pause, and we get the final "Breiter, Rascher" ("Broader. Brisk") [T-4], in which a big tune setting of SD [00:00] brings this exciting, would-be, symphonic poem to a rousing conclusion. At about the same length, and in four, conjoined sections like the previous work, the Concert Piece (Konzertstück) came some forty years later (1946). This is a more refined offering that opens "Moderato" ("Moderately") [T-5] with a hesitant, melancholy melody (HM) for the orchestra [00:00]. Then the piano suddenly enters [00:58], playing a related, falling theme (HF) [01:23]. HF is explored and builds haltingly into the next "Doppelt so rasch" ("Twice as fast") [T-6] that's as advertised. More specifically, it opens with a chugging tutti [00:00], over which the soloist launches into an accelerated HM [00:04], soon succeeded by a faster version of HF [00:38]. Subsequently, this bridges pensively into a third section marked "Langsam" ("Slowly") [T-7]. Here a graceful, sweeping variant of HM sung by the piano [00:00] seems to conjure images of a sunrise. Then the music turns frolicsome with a scurrying variant of HM (HS) introduced by soloist and tutti [T-8, 00:00]. HS initiates a final, rondoesque "Allegro molto" ("Very fast"), where it’s tossed about and appears in a variety of fetching developmental guises. The last takes the form of a winsome, chorale-like tract [04:50] that ends this delightful work triumphantly. Walter paid musical homage to Scotland with his Schottische Phantasie for Viola and Orchestra of 1932-3 (see 23 June 2014), and would do so again some twenty years later in the concluding Hebridean Dances (Hebridentänze, 1950-1; WPR). Named after those scenic islands off Scotland's northwest coast, this was his next to last work, and takes the form of a five-part, concertante suite. Here the composer doesn't actually quote Scottish folk melodies, but comes up with stylistically similar ones of his own making. Consequently, what we have is a series of tone pictures. And in hopes of giving you a better idea of how the music sounds, we'll make up what seem like appropriate scenarios for them. The first marked "Lebhaft" ("Lively") [T-9] takes the form of a busy theme with five variations. The opening main subject is a rustic ditty [00:00] that makes it easy to imagine an island community. Then subsequent melancholy [01:00], apathetic [02:17], industrious [03:17], giddy [03:53] and quixotic [04:35] variants could well characterize some of the inhabitants. After that the mood turns rhapsodic in "Mäßig Achtel" ("Moderate Eighth Notes") [T-10], which is based on a comely, caressing tune [00:00]. This is a gorgeous offering that might well depict a sunny, verdant isle surrounded by calm seas. But tomfoolery is afoot in the subsequent "Lebhaft" ("Lively") [T-11], where it’s easy to imagine children at play along its beautiful shores. As for the next "Sehr Ruhig" ("Very Peaceful") [T-12], this begins [00:00] with a sense of mystery reminiscent of haunting moments in Manuel de Falla's (1876-1946) Nights in the Gardens of Spain (1911-5). However, after a brief pause, the soloist initiates a jolly, capricious episode [05:00] that comes to a deceptive conclusion. It's followed by a subdued afterthought, which begins in the orchestra [07:44] and has some virtuosic piano passages. Then the music just quits with a couple of muffled drum notes [10:42], bringing the fourth part to an uneventful ending. With a stretch of the imagination, all this could characterize those ever-changing Hebridean seas. The "Finale" [T-13] is a brilliant rondo that opens with a carefree, flighty (CF) theme [00:00], which is tossed about by soloist and tutti in a number of colorful treatments. These range from combative [01:07] to rustic [01:26], flowing [02:12] and oafish [02:34]. Then CF returns [02:55], fueling a manic coda [03:58] that ends the piece exultantly. German pianist Tatjana Blome delivers a splendid account of these rarities, and the Ludwigshafen-based, Rheinland-Pfalz State Philharmonic (RPSP) under German conductor Gregor Bühl give her enthusiastic, yet sensitive support. Their combined efforts turn music that in lesser hands might be ordinary fare, into a highly memorable listening experience. These recordings were made between November 2017 and May 2018 in association with the RPSP and Deutschlandfunk Kultur. They present a consistently distant sonic image in reverberant surroundings with the soloist seemingly a tad left of center. The overall orchestral timbre is occasionally bright with a compact midrange and clean bass that goes down to rock bottom. As for the piano, it's acceptably captured and balanced against the orchestra. However, Fraulein Blome's magnificent playing would have been even more striking had her instrument been better highlighted. Wilhelm Kempff (1895-1991) is best remembered as a pianist, but he was also a very active composer, who would write a significant body of works across almost every genre. Two in the chamber category are explored on this new Brilliant release, these being the only recordings of them currently available on disc. Born in Jüterbog, some forty-five miles south-southwest of Berlin, Wilhelm first received piano lessons from his father, and by age nine, went on to study at what's now the Berlin University of the Arts (BUA) and Helmholtz-Gymnasium, Potsdam, Germany. Then in 1917 he began a highly successful, international concert career, which led to his becoming one of the world's most acclaimed recording artists. But the year 1981 saw the onset of Parkinson's Disease, which soon forced his retirement. He would then die in scenic Positano, Italy, some ten years later. The concert opens with his Flute Quartet in G major, Op. 15 (c. 1920). The first of its three movements [T-1] has an affable, "Andante" ("Slow") preface (AP) [00:00], where the four instruments suggest a proud, songlike thematic nexus (PS) soon introduced by the piano [00:57]. It’s the material for the remaining "Allegro" ("Lively") portion of this movement, where it undergoes a captivating, chromatic development [01:20] and initiates an increasingly romanticized recap [04:35] that ends the movement amorously. The next "Adagio con melancolia, semplice" ("Slow with melancholy, ingenuous") [T-2] is a theme and variations. It begins with soft, repeated piano chords [00:00] and a PS-related, wistful main subject (PW) introduced by the other instruments [00:04]. According to the album notes, PW is based on a Swedish folk tune, and the one for "Brudmarsch till Ulrika" ("Bride march to Ulrika") sounds like a possibility. In any case, PW is then repeated [00:45] and succeeded by ten variations. The first five are coy [01:30], troubled [02:38], flighty [03:56], amorous [04:31] and searching [05:13]. Then there are playful [06:00], lurking [06:25 & 06:55], songlike [07:23] and mercurial [07:34] ones. They're followed by a querulous bridge [08:37] into the return of PW [09:09], which brings the movement to a peaceful conclusion. The subsequent "Minuet (Allegretto)" ("Lively Minuet") [T-3] is as billed with antsy, waltzlike outer sections (AW) [00:00 & 02:40]. These surround a related scurrying number [01:23-02:38], and end this delightful movement full circle. An "Introduzione e finale" ("Introduction and finale") [T-4] winds things up and opens "Andante molto sostenuto e mesto" ("Very sustained and sorrowfully flowing") with a gently swaying melody (GS) [00:00] heard in the left hand of the piano. The other instruments join in, bringing the music to a dramatic climax that fades away and is followed by a pause. Then we get deceptively ominous, transitional passages [beginning at 01:53] and another brief break, succeeded by a "Molto vivace" ("Very vivacious") conclusion. It begins with a GS-derived, jolly Tarantella di Taormina (Sicilian tarantella) [03:37]. This has an AP-initiated, subdued coda [09:11] with wisps of past ideas, and ends the Quartet in the same mood as it started. Wilhelm was only sixteen and a student of German composer-pianist Robert Kahn (1865-1951; see 14 July 2014) at the BUA, when he wrote his four-movement Piano Trio (1911). Consequently, it shows the influence of those by Robert's mentor, Johannes Brahms (1833-1897), as well as Antonín Dvorák (1841-1904). The first "Andante" ("Slow") [T-5] is a theme followed by six developmental variations. It opens with a serene Brahmsian main subject (SB) [00:00], which subsequently undergoes sequentially imitative [00:16], merry [01:47], hesitant [02:50] and contemplative [03:50] treatments. Then there’s a fifth, big tune reworking of SB [04:59] and final complacent variant [05:32] that ends the movement smilingly. Next there’s a scherzoesque "Presto" [T-6], having jittery outer sections [00:00 & 04:08] based on a restless tune [00:05]. They bracket a suspenseful pause [02:41-02:42] followed by a subdued trio section [02:42-04:07], and conclude the movement in the same spirit it began. Then it's theme and variations time again with the ensuing "Moderato" [T-7], which starts with a leisurely, folk-song-like main subject (FL) [00:00]. This parents seven variations, the first four being wistful [00:34], weeping [01:21], brash [02:08] and dreamy [02:35]. They’re followed by braying [03:41], frenetically virtuosic [04:12] and moribund [04:59] ones, the last ending the movement with a reminder of FL [06:10]. The pace quickens in the closing "Vivace" ("Vivacious") [T-8] that opens with a willful, jittery ditty (WJ) for the piano [00:00], soon augmented by the strings. WJ is toyed with and leads to a lovely, hymnlike tune sung by the cello (LH) [00:50], which is then explored. Subsequently, fragments of WJ herald a quixotic development [01:45] that subsides into a pensive LH-related episode [03:48]. This is succeeded by a WJ-based bridge [beginning at 04:26] into a lyricised version of WJ (LJ) [05:15] that occasions some thoughts having intimations of LH [05:32] and WJ [05:59]. Then after a brief pause, there's a grand reminder of LJ [06:16] with tinges of WJ [06:26]. It builds into a triumphant LH-LJ-based coda [06:53] that ends the Trio exultantly. Collectively known as the Quartetto Raro, flutist Ginerva Petrucci, violinist Lorenzo Fabiani, cellist Franceso Sorrentino and pianist Giovanni Auletta give good accounts of these rarities. The playing of Signorina Petrucci and Signore Auletta is particularly commendable, while perspicacious listeners may detect a couple of intonationally queasy moments in the strings. The recordings were made about a year ago on separate occasions in the Pontificium Institutum Musicæ Sacræ Roma (Pontifical Institute of Sacred Music Rome), which is a warm, acceptably reverberant venue. The Quartet is spread across an appropriately sized soundstage with the instruments comfortably positioned and balanced from left to right (flute, violin, piano and cello). While the piano is well captured, its companions are characterized by steely highs, a bright midrange, and lean bass. As for the Trio, it's a more confined sonic image. Here the piano sound is acceptable, but the violin's upper registers are penetrating, and the cello's lower ones seem undernourished. Accordingly, this disc falls somewhat short of an audiophile rating. However, as we've noted before with other classical rarities such as these, we’re lucky to have what's here! With this new Chandos release, it would seem there's a revival of English composer Sir Charles Hubert Hastings Parry's (1848-1918) music now underway (see 31 October 2018). We have the composer's biographer, musicologist Professor Jeremy Dibble (see 27 November 2009, 17 August 2011 and 23 January 2015) to thank for preparing and editing the three orchestral selections included here. These are all world premiere recordings. Sir Charles wrote five numbered symphonies (1882-1914), and the Fourth exists in two versions, both of which have four movements. Up until now, only his revision of 1909 has been available on CD (see Chandos 8896), but this release gives us the original of ten years earlier (1888-9). Those familiar with its later incarnation will find the one here quite different, even though most of the themes are the same. The Symphony on this disc has a sonata-form-like first movement whose exposition opens "Allegro energico" ("Fast and energetic") [T-1] with a daring, heroic idea (DH) [00:03]. DH smacks of bold moments in Johannes Brahms' (1833-1897) symphonies (1855-85), which is not that surprising as Parry greatly admired his music. Then it's followed by three, related countersubjects, which are flowing (DF) [00:21], expansive (DE) [01:08] and sighing (DS) [02:00]. Subsequently, DS fuels back-to-back "Animato" ("Animated") [02:48] and "Animato bene" ("Very animated") [03:32] episodes. These die away into a DS-related, "Largamente" ("Broadly") marked, melancholy thought (DM) [04:12] and "Tempo I" ("Initial tempo") reminder of DH [06:22], followed by a dramatic pause [06:59]. This gives rise to a horn-call-announced, "Allargando" ("More stately") memento of DF [07:04], which again brings to mind Parry's hero Brahms, namely the opening of his Third Symphony (1883). It's followed by a DH-initiated recap that starts "Animato" ("Animated") [07:18] and continues "Sempre tempo animato" ("Always at an animated tempo") [10:04]. Then a subsequent "Largamente" ("Broadly") marked wisp of DM [10:36] and excited, DH-based, "Tempo giusto" ("Precise tempo") coda [11:20] end the movement in rousing fashion. The succeeding "Intermezzo" begins "Allegretto semplice" ("Joyfully simple") [T-2] with a sanguine, sighing theme (SS) [00:00] that's a harbinger of serene moments, which would soon appear in the music of Parry's compatriot, Sir Edward Elgar (1857-1934), namely his First Symphony (1907-8). Then SS is explored and reshaped into what seems like a melodic inversion of itself (SI) [T-3, 00:00]. SI begins a rapt, "Lento espressivo" ("Slow and expressive"), followed by a pause and winsome, SS-inspired "Tranquillo espressivo" ("Tranquil and expressive") [02:37]. This wanes into a "Tempo I" ("Initial tempo"), Lento espressivo" [04:30], which is a hymnlike development of SI with reminders of SS [08:00] that brings the music to a subdued, reverent conclusion. The third movements of both Symphonies are "Scherzos", but the similarity ends there! To wit, they're based on unrelated thematic material and even in different keys (G major here as opposed to A minor). What's more, the earlier [T-4] is a simpler contrivance, which the composer aptly described as "a coquettish dance of lords and ladies, interrupted by a song". Accordingly, it begins with a flirtatious “Allegro scherzando” (“Fast and playful”) waltz (FW) [00:00] that anticipates lighter moments in Sir Edward Elgar's (1857-1934) two Wand of Youth Suites (1907-8). FW is followed by a captivating "Meno mosso" ("Less lively") cavatina-like section (CC) [02:29]. Then there’s a "Tempo I" ("Initial tempo") repeat of FW [04:40], which has a final, nostalgic hint of CC [07:15] and ends this movement like it started. The "Finale" [T-5] is a sonata-form creation structurally similar to the Symphony's opening movement. It also begins "Allegro energico" ("Fast and energetic"), but this time with a regal, valiant idea (RV) [00:00], which is explored and succeeded by a related "Animato bene" ("Very animated") march number (RM) [01:34]. RM is subsequently tweaked and initiates a busy "Largamente" ("Broadly") marked development [03:30]. This adjoins an RV-triggered "Tempo I" ("Initial tempo") recap [06:01] with the "Sostenuto" ("Sustained") return of RM [07:14], which waxes into a triumphant brass outburst [08:07]. Then there's a "Tempo" (presumably "Tempo I") reminder of RV [08:58]. It's the basis for a "Tempo animato" ("Animated tempo") bridge [beginning at 09:25] into a "Sostenuto ma non troppo lento" ("Sustained, but not too fast") coda [10:50] that ends the Symphony festively. Generally speaking there's an appealing spontaneity here that makes this a bird of a different feather from its successor. Moreover, the later version is so extensively reworked that, to borrow a concept from American composer Don Gillis (1912-1978), it might well be thought of as Parry's Symphony No. 4½. In any case, those liking romantic, English orchestral music will want both. Moving ahead to 1912, we get an outstanding reconstruction of Sir Hubert's one and only ballet Proserpine thanks to the considerable efforts of Jeremy Dibble (see above). It was inspired by the legend about the Roman goddess of that name (aka Proserpina or Persephone in Greek mythology) and Percy Bysshe Shelley's (1792-1822) short poem "Song of Proserpine..." (1820). Incidentally, Parry's fellow countryman George Lloyd 1913-1998) would have the same myth in mind when he wrote his Seventh Symphony (1957-74; see 30 November 2017). As the story, goes Proserpine, daughter of Mother Earth goddess Ceres, spends her time cavorting about the Sicilian countryside with her attendant nymphs. Then she's violently abducted by the god of the underworld, Pluto. who carries her off to Hades and forcibly marries her. However, the king of the gods, Jupiter, orders her release, which Pluto only partially fulfills by letting Proserpine spend each spring and summer back on Earth. Accordingly, the ballet [T-6] has a vernal, pastoral prelude [00:00] replete with bird calls that include a cuckoo motif (CK) [00:27-00:32]. This is soon followed a comely waltz (CW) [01:50] and sprightly countermelody (CS) [02:23]. Then an a capella, female chorus of "Unseen Spirits" picks up on CW and sings [02:58] the first verse of Shelley's poem (see the album notes for English, French and German texts). It’s in essence an adjuration of Ceres to bestow the blessings of spring upon her daughter. A gorgeous CW-based, orchestral number follows [04:10], where Prosperine and her retinue of nymphs gracefully waltz about. It includes a mischievous, CS-related, dance number [05:56] with venatic horn calls [06:38] and subdued, CW-reminiscent passages [beginning at 06:42]. These bridge into the chorus delivering the poem's second and final verse [07:42], which is another evocation similar in spirit to the first. However, this one is succeeded by ominous, increasingly agitated orchestral passages [08:47], presumably limning Proserpine's abduction. Then there's a dramatic break [09:17-09:19], and the music wanes crestfallen into a long silence [10:09], succeeded by saddened reminders of CK [10:16]. These give rise to soft, serene passages [10:29], which bring the ballet to a somewhat hopeful conclusion, presumably with the promise of another spring. The selections filling out this disc are the last three of the four movements, comprising Parry's Suite moderne (aka Suite symphonique) of 1886, which he revised in 1892. Written between his Second (1882) and Third Symphony (1888-9), this is lighter, more picturesque symphonic fare than either of its more formal companion pieces. Titled "Idyll", "Romanza" and "Rhapsody", no explanation is given in the album notes for the omission of the opening "Ballada". However, the parent work was never published, and arguably this movement was not in any of the source material Professor Dibble (see above) could find for these reconstructions. Be that as it may, with music this rare and delightful, we're lucky to what's here. These pieces show Sir Hubert at the height of his melodic powers, and that's particularly true of the ternary, A-B-A "Idyll" [T-7]. Moreover, the "A"s are based on an enchanting, expansive theme (EE) [00:00] and surround an equally attractive "B", featuring a bag-pipe-like ditty (EB) [03:13]. The concluding "A" has an EB-tinged coda [06:42, which ends the movement with a radiant horn reminder of EE [06:52]. Then it's on to the "Romanza" [T-8], which begins with a short, subdued preface [00:00] that sets the tone for a romantic, cantilena-like tune (RC) soon heard in the strings [00:20]. RC alternates with a sullen, choral-like idea introduced by the winds and brass [01:55], but has the last say [03:20], thereby bringing the music to a warm, tranquil conclusion. The pace picks up with the final "Rhapsody" [T-9], which is a spirited sonata-rondo having a perky introduction [00:00] and innocent, bounding first theme (IB) [00:14] that smacks of the third movement from Mendelssohn's (1809-1847) First Symphony (Op. 11, 1824). IB is followed by a related, romantically sinuous, Scottish-tinged melody (IS) [01:28], which is explored. Then IB returns [03:14], bridges into a loving treatment of IS [04:16] and bounds back [06:07] with animated IS references [06:48]. These give way to a manic, IB-based coda [07:16] that ends the movement ecstatically. On the heels of their CD with music by Parry’s compatriot Ruth Gipps (1921-1999; see 31 October 2018), British conductor Rumon Gamba, this time with the BBC National Chorus (Ladies only) and Orchestra of Wales (NCOW), gives us more magnificent renditions of additional, English, romantic rarities. He elicits enthusiastic yet sensitive performances from the NCOW, making a strong case for these invaluable Dibble (see above) restorations. 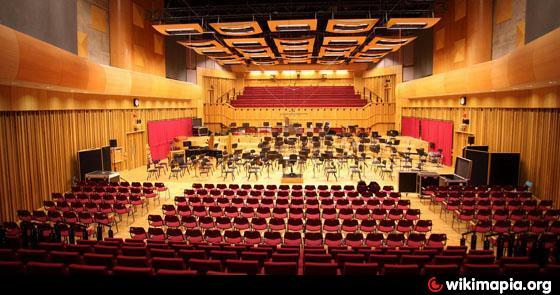 The recordings, which date from June 2017, were done in association with the BBC and NCOW at BBC Hoddinott Hall, Cardiff, Wales, They present a wide, deep sonic image in a reverberant venue, with the chorus and orchestra well balanced against one another. As for the overall sound, it's characterized by shrill highs, particularly in massed violin as well as sung passages, a reserved midrange and lean, clean bass. It's too bad this wasn't a hybrid album as the upper end might have been more lifelike on the SACD tracks. The classical music world lost two great composers in the mid-1970s, namely Dmitri Shostakovich (1906-1975; see 31 May 2017 and Benjamin Britten (1913-1976). However, it gained Welsh-born, up-and-coming Huw Watkins (b. 1976), who makes his CLOFO debut here. Already ranked as one of today’s finest pianists, he's well on the way to becoming a promising composer. In that regard he’s a particularly welcome addition to the British roster of classical composers, considering the demise in the early 1990s of his very talented compatriot, Welsh composer William Mathias' (1934-1992; see 22 June 2011). Watkins is a graduate of Chetham's School of Music, King's College, Cambridge, the prestigious Royal College of Music, and currently Professor of Composition at the Royal Academy of Music. As of this writing, he's also produced a significant body of works across all genres, and we're treated to three of his more recent orchestral ones on this enterprising NMC release. These are the only recordings of them currently available on disc. The opening selection is the Flute Concerto of 2013. In the usual three movements, this begins "Allegro molto" ("Very fast") [T-1] with a strumming tutti [00:01] and descant flights of fancy for the soloist. Then we get a catchy underling motif (CU) [00:37] and forceful riff [00:44] in the orchestra. These are followed by a contemplative flute-dominated episode [00:57], but the harp and soloist soon launch [01:41] an agitated, virtuosic segment. This waxes and wanes into bassoon and flute initiated, pensive developmental passages [03:46], which turn increasingly troubled with keening whimpers from the soloist. Then reminders of CU [05:43] start a recap coda that begins voraciously. It then abates, ending the movement tranquilly with some wistful flute flourishes [06:16] and a gloomy, sustained chord for the horns [06:48]. Next, a spellbound "Andante" ("Slow") [T-2] that's the concerto's emotional high point and may bring to mind the slow movement of Michael Tippett's (1905-1998) Triple Concerto for Violin, Viola and Cello (1978-9). The Watkins gets off to a restive start [00:00] with the soloist playing disembodied, melodic fragments over a chromatically shifting accompaniment. Then the opening measures are repeated [01:51], become increasingly ominous [beginning at 02:49], and fade into a lachrymose episode [05:14] with a weeping flute. This gives way to a somewhat more hopeful last thought [05:55], where avian chirps from the soloist are answered by ones for several of the higher instruments in the orchestra. Another "Allegro molto" ("Very fast") [T-3] closes the Concerto, and begins with sustained tutti chords [00:00], and some manic, flute work [00:01]. All this engenders a spastic, percussively tweaked episode [00:29] that has arresting knocks on blocks [01:13]. Here horns and trumpets try to subdue the flute, but it just won't quit! Subsequently, chastened horns [03:16] introduce dreamy passages, which are cause for that irrepressible soloist to evoke a soaring episode [04:32] with virtuosic outbursts. This ebbs into a soporific moment [06:55] that momentarily comes to life [07:17], only to leave the work dangling in midair. Moving ahead to 2016-7 we get the composer's only Symphony to date, which is an impressive, modern day, rethinking of that musical structure. In only two movements, the initial "Allegro molto" ("Very fast") [T-7] seems distantly sonata-form-related, and gets off to a start vaguely reminiscent of the preceding Concerto's opening moments. Moreover, it begins with an energetic, fleeting subject (EF) [00:01], having subsequent brass-and-percussion-laced riffs [00:42]. EF is explored and blossoms into a related, imposing countersubject (EI) [02:34]. Then both ideas undergo an EI-initiated, extended development that's sequentially brazen [03:45], contrite [05:35] and heroic [06:39]. All this leads to an EI-triggered recap [08:21] with echo effects [beginning at 09:06] that end the movement in a tuneful limbo. The concluding "Lento" ("Slow") [T-8] might best be described as passacaglia-like. In eight episodes of different temperament, the first is oneiric and begins with a gently flowing ostinato (GF) [00:00]. It's followed by a pastoral second [01:22] and third [03:10], having woodwind birdcalls. The latter adjoins an agitated fourth [03:57], and then there's a nostalgic remembrance of the opening one [05:24]. This conjures up an ominous sixth [05:56]. This has four curious, suilline squeals for solo violin [06:56], some percussive outbursts [07:35] and wanes into a peaceful, penultimate episode [08:50]. Then there’s an exciting eighth [09:32] that just quits, ending the Symphony with a big cadential question mark [10:40]. 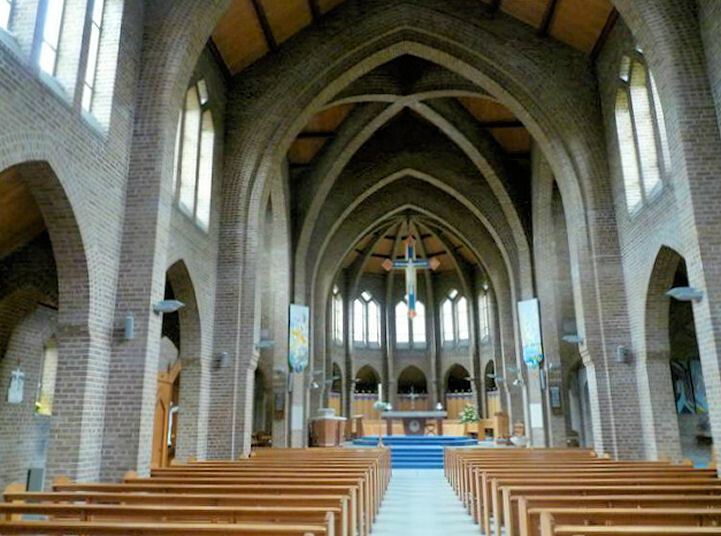 Both recordings were done in September 2017 at St Peter’s Church Hall, which is the HO's home base in Manchester, England. They present an appropriately sized sonic image in a warm, enriching venue with the flute positioned center stage and ideally captured as well as balanced against the orchestra. The overall instrumental timbre is characterized by pleasant highs, a lucid midrange and low, clean bass. Turning to the remaining selection on this disc, we get the Violin Concerto of 2010. It presages one written in 2013 by the composer's older colleague Paul Patterson (b. 1947), which was a CLOFO "Audiophile Best Find" of last year (see 28 February 2018). Those who liked that will find Huw's an equally attractive work. In the conventional three movements, the initial "Allegro molto" ("Very fast") [T-4] opens with a flippant, captious motif (FC) for soloist and tutti [00:01]. Then a somber treatment of FC (FS) appears [00:50], becoming the material for an introspective episode featuring the violin. Subsequent, bass-drum-accented passages [01:45] herald an anxious, virtuosic development [01:57], where the soloist taunts the orchestra. However, this wanes into an FS-related, contemplative episode for the violin [03:58] that becomes increasingly anguished with weeping brass, angry low strings and more bass drum. Then there's a choleric, cadential outburst [05:35-05:47], after which a passive soloist and tutti end the movement despairingly. The next "Andante" ("Slow") [T-5] gets underway with subdued, clocklike passages [00:00], over which the violin soon croons a wistful, searching melody (WS) [00:13]. Then WS becomes the subject of a haunting, exploratory episode [00:47] with a poignant, falling trumpet motif (PF) [01:20]. All this gives rise to a busy passages with bustling woodwinds (BB) [02:06]. However, the opening mood again prevails with the return of WS [02:57], only to turn troubled as we get some additional whacks on the bass drum [03:58]! After those, the music falls away into a WS-engendered, pensive section [04:45] and another BB segment [05:52] that slowly abates. It's followed by a tenebrous, hint of a brass chorale [07:49], after which soloist plus orchestra intone a subdued reminder of PF [08:10] that dissipates, ending the movement apathetically. Then all hell breaks loose in the virtuosically demanding, final "Allegro molto" ("Very fast") [T-6]! This starts [00:00] with a display of frantic, fiddle fireworks over a raucous orchestral accompaniment [00:00] that augurs a nostalgic, melancholy motif soon played by soloist (NM) [00:24]. NM fuels a chromatically searching development [01:35], which becomes increasingly manic. Here there are more whacks on our old friend the bass drum [03:39] and some isolated, twitchy passages for the violin [beginning at 04:01]. Then the music gradually fades away, and along with some last hints of NM [beginning at 05:04], ends the Concerto tranquilly. The soloist here is Russian-born Alina Ibragimova (b. 1985), who’s based in England and one of today's most promising violinists. She gives a commanding performance of this formidable Concerto and receives superb support from the BBC Symphony Orchestra under conductor Edward Gardner. The recording was taken from a live 2010 performance at the Royal Albert Hall, London, and has that exciting spontaneity frequently lacking in studio productions. What's more, adept microphone placement, touch ups and editing assure no extraneous audience noise or applause. Polish-born, Russian-trained Mieczyslaw Weinberg (aka Vainberg, 1919-1996) left a considerable body of works that include twenty-two symphonies. A couple of them have appeared in these pages (see 6 July 2011 and 18 February 2013), and here's another courtesy of Naxos. It's joined by an earlier orchestral serenade, these being world premiere recordings of both. Miczyslaw dedicated his Thirteenth Symphony of 1976 to the memory of his Mother, who along with the composer’s father and younger sister, had perished during the early 1940s in a Nazi concentration camp. Accordingly, this music is an intense, emotional utterance! In a single, thirty-five-minute span [T-1], it's scored for a large orchestra that's for the most part used with great reserve. What's more, rather than adhering to set thematic ideas, the work evolves from motivic material heard at its outset. Incidentally, this brings to mind Schoenberg's (1874-1951) concept of "developing variation", which we recently mentioned in regard to a couple of Austrian composer Johann Nepomuk David's (1895-1977) symphonies (see 31 July 2018). The Weinberg opens with a doleful, sinuous idea (DS) in the strings [00:01], which is all the sadder for some weeping woodwinds [03:17-04:40]. Then the mood becomes more ominous, and gives way to an eerie variant of DS (DE) [06:11] that invokes a haunting episode. Ostensibly, this reflects memories of Mom (see the last paragraph of Richard Whitehouse's informative album notes), and is accordingly followed by a prayerful pause. Subsequently, DE reappears [09:32] and becomes increasingly anguished with passages very reminiscent of dire moments in Shostakovich's (1906-1975) fifteen symphonies (1924-71). This is not all that surprising as he was a good friend and mentor of the composer, who championed Weinberg’s music. The foregoing comes to a cymbal-crash-sparked, striking, horn-swept climax [14:20], followed by bizarre, clarinet-introduced passages [15:28]. Strangely enough, these turn into a violin cadenza [15:38], which starts with a wiry, antsy motif [16:06] that powers a chugging segment [16:22]. This becomes a percussive-laced, tour de force with martial overtones [16:58], and considering the circumstances that inspired this Symphony, may well have World War II (1939-45) associations. Subsequently, there's a disjointed brass retreat [21:09] into a despondent segment [21:27], which gives way to a twitchy, bridging episode [24:15], succeeded by hints of DS [24:44]. These begin a eulogy of remorse and resignation, followed by flatulent wind passages [29:57] and final DS-tinged memories of the opening measures [30:56]. Then the latter slowly atrophy, closing the symphony with a deathly silence. RIP! The year 1949 saw the composer write four, short, orchestral works in quick succession, which comprise his Opus 47. They include Rhapsody on Moldavian Themes (No. 1), Polish Tunes for Orchestra (No.2), Moldavian Rhapsody for Violin (No. 3) and the Serenade (No. 4) that fills out this CD. It’s a blithe, four-movement piece, which begins "Allegretto" ("Lively") [T-2, 00:00] with a couple of pastoral, folksy tunes that are respectively song (PS) [00:02] and dancelike (PD) [00:44]. Then PS makes a vehement reentrance [01:23], succeeded by a rustic PD [02:09] with a gossamer reminder of PS [02:32] that closes the movement tranquilly. The "Allegro molto" ("Very fast") [T-3] is a sonata form miniature, whose opening statement starts with a heroic, horn riff (HH) [00:00]. HH hints at a subsequent, flirtatious melody (HF) that's soon heard [00:08] and followed by a related, rambunctious, waltzlike number (HR) [00:55]. These are subsequently explored [01:39] and developmentally toyed with [01:59]. Then HF initiates a recap [03:16], where HR returns [03:59], giving rise to an HH-triggered coda [05:01], which ends the movement perfunctorily. Next, there's a tiny, delightful "Adagio" ("Slow") [T-4] that begins with a melancholy introduction for the clarinet [00:00]. This augurs a relaxed, winsome melody (RW), which it then intones [00:38] to a perky pizzicato accompaniment. RW is picked up by the strings [01:07] and gives way to a countersubject of similar temperament delivered by the cor anglais (English horn) [01:19]. Then RW makes a more animated appearance [01:43], bringing the music to an eventual, peaceful conclusion. And closing things out, there's a vivacious, sonata-form-like "Allegro gioscoso" ("Fast and playful") [T-5] that starts with a puckish, flighty idea (PF) in the winds [00:00]. PF is picked up by the strings [00:23] and contrasted with a related, commanding, martial thought (PM) for brass, strings and percussion [00:46], which turns march-like [00:57]. The foregoing is explored [01:08] and undergoes a bellicose development [01:36]. Here a glorious, PF-related chorale (PC) materializes in the brass [03:32], and suddenly gives way to a bustling, PF-based, recap coda [04:42]. This closes the Serenade jubilantly with a big-tune-reminder of PC [05:13] and frenetic bits of PM [05:47]. The Siberian State Symphony Orchestra (SSSO) under their Music Director and Conductor Vladimir Lande do the honors here. They deliver totally committed, definitive performances of both works; however, pointy-eared listeners may notice a couple of intonationally queasy spots in the brass. These recordings were made last year at the SSSO's Philharmonic Hall in Krasnoyarsk, Russia, some 2,000 miles east of Moscow, and present a wide, deep sonic image in pleasantly reverberant surroundings. The orchestral timbre is characterized by acceptably bright highs and a marginally cavernous midrange. As for the low end, it's very clean, but considering Weinberg's brilliant scoring and the considerable forces involved, seems somewhat gaunt. Accordingly, audiophiles will find this disc a bit wanting.